Pet Shop Boys are an English electronic pop duo, formed in London in 1981 and consisting of Neil Tennant (main vocals, keyboards, occasional guitar) and Chris Lowe (keyboards, occasional vocals). Pet Shop Boys have sold more than 50 million records worldwide, and are listed as the most successful duo in UK music history by The Guinness Book of Records. Three-time Brit Award winners and six-time Grammy nominees, since 1985 they have achieved forty-two Top 30 singles and 22 Top 10 hits in the UK Singles Chart, including four UK number ones: "West End Girls" (also number one on the US Billboard Hot 100), "It's a Sin", an acclaimed cover of "Always on My Mind" and "Heart". Other hit songs include a cover of "Go West", "Opportunities (Let's Make Lots of Money)" (satire of Thatcherism) and "What Have I Done to Deserve This?" in a duet with Dusty Springfield. In 2016, Pet Shop Boys were named as the No. 1 Billboard Dance duo/group over the 40 years since the chart's inception in 1976. 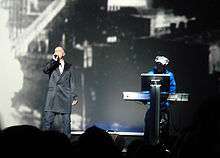 At the 2009 Brit Awards, Pet Shop Boys received an award for Outstanding Contribution to Music. Neil Tennant and Chris Lowe met in an electronics shop on Kings Road in Chelsea, London, in August 1981. Recognising a mutual interest in dance music, they began to work together on material, first in Tennant's flat in Chelsea and from 1982, in a small studio in Camden Town. It was during those early years that several future hit songs were created, including "It's a Sin", "West End Girls", "Rent" and "Jealousy". Initially Tennant and Lowe performed as West End because of their love of London's West End, but later they came up with the name Pet Shop Boys, derived from friends of theirs who worked in a pet shop in Ealing. Their big break came in August 1983, when Tennant was assigned by Smash Hits to interview The Police in New York. The duo were obsessed with a stream of Hi-NRG records made by New York producer Bobby Orlando, simply known as Bobby O. According to Tennant: "I thought: well, if I've got to go and see The Police play, then I'm also going to have lunch with Bobby O." They shared a cheeseburger and carrot cake, at a restaurant called the Applejack Diner, on 19 August (two years to the day since Tennant and Lowe had met) and, after hearing a demo tape that Tennant had brought along with him, Orlando suggested making a record with the Pet Shop Boys. From 1983–84, Orlando recorded eleven tracks with Tennant and Lowe including; "West End Girls", "Opportunities (Let's Make Lots of Money"), "It's A Sin", "I Want A Lover", "I Get Excited", "Two Divided By Zero", "Rent", "Later Tonite", "Pet Shop Boys", "A Man Could Get Arrested" and "One More Chance". In April 1984, the Orlando-produced "West End Girls" was released, becoming a club hit in Los Angeles and San Francisco. On 2 November, it was voted "Screamer of the Week" by listeners of Long Island, New York radio station WLIR. It was a minor dance hit in Belgium and France, but was only available in the United Kingdom as a 12" import. In March 1985, after long negotiations, Pet Shop Boys cut their contractual ties with Bobby O, with a settlement giving Bobby O significant royalties for future sales. Hiring manager Tom Watkins, they signed with the London-based Parlophone label. In April, Tennant left Smash Hits (where he had progressed to the position of deputy editor) and in July, a new single, "Opportunities (Let's Make Lots of Money)", was released, reaching number 116 in the UK. The B-side to this single, "In the Night", later resurfaced, in a longer remixed version, as the opening track to the duo's first remix album, Disco, in 1986. This version was also used as the theme for the UK television series The Clothes Show. 1987 started with Pet Shop Boys receiving both BRIT Awards and Ivor Novello Awards for "West End Girls". Later, on 15 June, they released what became their second number one single, "It's a Sin". The single caused some controversy: Tennant's school, St. Cuthbert's Grammar School, in Newcastle upon Tyne, chastised him in the press, while Jonathan King accused them of plagiarising the Cat Stevens song "Wild World". Pet Shop Boys later sued King and won damages, which were donated to charity. The video to "It's a Sin" also saw their first collaboration with director Derek Jarman. Towards the end of 1987, Pet Shop Boys started work on an hour-long film that would incorporate the songs from Actually. Working with director Jack Bond, the short film grew into a full-scale movie, It Couldn't Happen Here, starring Barbara Windsor, Joss Ackland and Gareth Hunt. The film was eventually released in 1988 to mixed reviews. Footage from the film was also used for the music video to "Always on My Mind", now released as a single on 30 November; it became both the duo's third number one single in the UK and the Christmas number one single for 1987, beating "Fairytale of New York" by The Pogues. 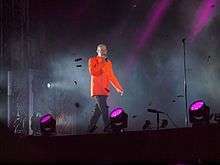 In November 2004, The Daily Telegraph newspaper placed Pet Shop Boys version of "Always on My Mind" at number two in a list of the fifty greatest cover versions of all time. 1988 started with another collaboration. The Pet Shop Boys wrote and produced the song "I'm Not Scared" for Patsy Kensit's band, Eighth Wonder. The song became her biggest hit single and the Pet Shop Boys included their own extended version of the track on their Introspective album. March 1988 saw the duo achieve their fourth UK number one single (and their last to date), with a remixed edit of "Heart", different from the album version. This single version would be included on their first and third greatest hits albums, Discography: The Complete Singles Collection and Ultimate, whereas the album version would be used for their second retrospective, the double PopArt: Pet Shop Boys – The Hits. The video to the single, directed by Jack Bond, starred Ian McKellen as a vampire who steals Neil Tennant's wife. On 24 September 1990, a new single, "So Hard", was released, reaching No. 4 in the UK and Pet Shop Boys' fourth studio album followed, on 22 October 1990. Titled Behaviour, it was recorded in Munich, with producer Harold Faltermeyer. The album was not intended to reflect a dramatic change in mood from their earlier albums; however, it is noticeably subdued. It included the fan-favourite "Being Boring", the second single from the album, which only reached No. 20 in the UK Singles Chart, their lowest placing at the time. The song was inspired by a quote by Zelda Fitzgerald: "...she refused to be bored chiefly because she wasn't boring", and was widely thought to be a commentary on the AIDS epidemic. The music video was directed by filmmaker Bruce Weber. By this time, the duo had also parted ways with manager Tom Watkins, replacing him with Jill Carrington, who had previously been marketing director at Polydor. In June 1993, Pet Shop Boys infamously re-invented their image and made a strong return to the UK Singles Chart with "Can You Forgive Her?". Taking its title from the Anthony Trollope novel of the same name, the single reached number 7 on the UK Singles Chart, while its iconic music video featured the duo in orange body suits and tall dunce caps, in a world of computer-generated imagery. The theme was continued with the follow-up single, often considered as their signature song, a cover of the Village People single "Go West", which reached number 2 in the UK, with another computer-generated music video, this time inspired by the Soviet Union. The tune was adopted into a football chant at Arsenal Football Club (whom Chris Lowe supports) and is heard at grounds throughout Europe to this day. Pet Shop Boys began 2006 remixing Madonna's single "Sorry", for release in February. The single reached number one in the UK and the Pet Shop Boys' remix included new backing vocals performed by Tennant. Madonna subsequently used the Pet Shop Boys' remix, including Tennant's vocals, on her 2006 Confessions Tour. In April, Pet Shop Boys released a new single that reached No. 8 in the UK, "I'm with Stupid", a commentary on the relationship between George W. Bush and Tony Blair. The promo video featured Matt Lucas and David Walliams, better known as the team behind Little Britain. Lucas and Walliams portray Tennant and Lowe, parodying two of the duo's previous videos, "Go West", and "Can You Forgive Her?". The ninth Pet Shop Boys studio album, Fundamental, followed in May, reaching a strong No. 5 in their home country. The album was produced by Trevor Horn, who Pet Shop Boys had previously worked with on "Left to My Own Devices", in 1988. The album was also released with a limited edition remix album called Fundamentalism, which included a version of "In Private" as a duet with Elton John and "Fugitive", a new track produced by Richard X. On 16 October, Catalogue was published by Thames & Hudson, a 336-page hardcover book, written by Philip Hoare and Chris Heath, detailing their entire visual output (photography, as well as the design of albums, videos, tours, books and fan club magazines) from 1984 to 2004. Neil Tennant comments in the book: "In the beginning we made a decision – and it was in our EMI contract – that that we would have control over how everything worked; that obviously the songs mattered hugely, but the way they were presented was going to matter hugely as well; and that we were never going to give up on that." Pet Shop Boys supported the publication of the book with signings in London, New York City, Los Angeles and Berlin. To coincide with the publication of Catalogue, a small exhibition of portraits of Pet Shop Boys opened in the Bookshop Gallery of London's National Portrait Gallery, on 30 October 2006 and ran to 28 February 2007. 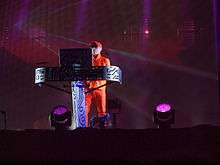 In December 2012, Pet Shop Boys played a free concert in the recently opened MediaCityUK BBC facilities accompanied by the BBC Philharmonic Orchestra and the Manchester Chamber Choir. They played mostly songs that hadn't been performed before including 'Miracles' and 'The Survivors'. A piece entitled 'He Dreamed of Machines'—taken from the band's project associated with Alan Turing—was also performed for the first time. Pet Shop Boys are scheduled to perform on stage with South Korean girl group f(x) at the end of the year MAMA Awards on December 2, 2015. On 21 January 2016, the Pet Shop Boys announced that their thirteenth album, Super, would be released on 1 April. The announcement was accompanied by the release of an album teaser track, "Inner Sanctum". The lead single from the new album, entitled "The Pop Kids", was released on 18 March 2016. "The Pop Kids" was the duo's eleventh number one on the US Dance Club Songs chart. In July 2016, they performed the 'Inner Sanctum' tour, for four nights at the Royal Opera House in London. Neil Tennant, who neither denied nor confirmed gay rumours throughout the 1980s, "came out" in a 1994 interview for Attitude, a UK gay lifestyle magazine. Lowe, meanwhile, has not disclosed his own orientation. He has said (in the 2-part 1996 BBC Radio 1 documentary, About), rather, that there is only "[human] sexuality". In the 1990 biography Pet Shop Boys, Literally, Tennant recalls that for a time their ex-manager, Tom Watkins, incorrectly assumed the duo to be a couple. Neil Tennant has stated that his lyrics are not specifically gay. Many of their songs are written from an ambiguous viewpoint. Note, some instruments listed have been used on television performances for miming on e.g. Top of the Pops. 1988: Best British Single for "Always on My Mind"
1994: Best British Video for "Go West"
1997: Grammy Award – Best Dance Recording for "To Step Aside"
2006: Grammy Award – Best Electronic/Dance Recording for "I'm with Stupid"
2007: Grammy Award – Best Electronic/Dance Recording for "Minimal"
↑ "The Pet Shop Boys on their involvement in the Olympics & new material". BBC. Retrieved 28 September 2014. ↑ The Guinness Book of Records 1999. Guinness. 1998. p. 228. ↑ "Greatest of All Time: Madonna Is Billboard's No. 1 Dance Club Songs Artist". Billboard. 2016-12-01. Retrieved 2016-12-03. ↑ Cowton, Michael (1991). Pet Shop Boys: Introspective (PDF). Pan Macmillan. ISBN 0-283-99825-3. ↑ "Pet-shop-boys-bobby-o-demos Retrieved 19 September 2013". ↑ "WLIR & WDRE 92.7 FM Screamer & Sheiks of the Week". Advancedspecialties.net. 9 January 2004. Retrieved 4 January 2010. ↑ Cowton, 1991. p. 15. ↑ "West End Girls – Pet Shop Boys". BBC Radio 2. British Broadcasting Corporation. Retrieved 19 February 2009. ↑ "Cult – Classic TV – The Clothes Show". BBC. Retrieved 10 April 2012. ↑ Elizabeth Landau (7 April 2009). "Pet Shop Boys come back with a lot of 'love, etc.'". CNN. Retrieved 4 January 2010. ↑ "1986 MTV Video Music Awards". Mtv.com. Retrieved 28 September 2014. ↑ "They did it their way". The Daily Telegraph. London. 20 November 2004. Retrieved 15 September 2010. ↑ "David Bowie – Hallo Spaceboy". David Bowie at Discogs. Discogs. 2014. Retrieved 13 February 2014. ↑ McKie, John (20 February 1996). "Bowie and Blair band together". London: The Independent. Retrieved 6 August 2011. ↑ covdik (24 February 2009). "PSB & David Bowie Top Of The Pops" (Video upload). YouTube. Google Inc. Retrieved 13 February 2014. ↑ Kenneth, Stephen. "A-Z of PSB". So Pet Shop Boys. Retrieved 14 June 2006. ↑ Mosler, Tomas. "Chronology". Pet Shop Boys at dead of night. Retrieved 14 June 2006. 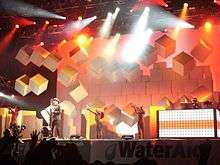 ↑ "Pet Shop Boys release ',Cubism', live DVD". Side-line.com. Retrieved 4 January 2010. ↑ "Pet Shop Boys to play live in Second Life". Side-line.com. Retrieved 4 January 2010. ↑ "Sam Tylor-Wood produced by Pet Shop Boys". KOMPAKT.FM. Retrieved 28 September 2014. ↑ "Pet Shop Boys-News". Petshopboys.co.uk. Retrieved 28 September 2014. ↑ "This is the Sam Tylor-Wood/ Pet Shop Boys song". Popjustice. Retrieved 28 September 2014. ↑ "I'm in love with a German filmstar". Resident Advisor. Retrieved 28 September 2014. ↑ Gordon Smart (3 October 2008). "Cheryl's song plea to Ashley". The Sun. UK. Retrieved 3 October 2008. ↑ McNulty, Bernadette (28 June 2010). "Glastonbury 2010, review". London: Telegraph.co.uk. Retrieved 6 August 2011. ↑ "Pet Shop Boys – News – Ultimate Pet Shop Boys". Petshopboys.co.uk. Retrieved 6 August 2011. ↑ "Pet Shop Boys – Ultimate Track-listing". Petshopboys.co.uk. Retrieved 6 August 2011. ↑ "Pet Shop Boys – The Most Incredible Thing". Petshopboys.co.uk. Retrieved 6 August 2011. ↑ "Sadler's Wells Theatre – Pet Shop Boys & Javier De Frutos – The Most Incredible Thing". Sadlerswells.com. Retrieved 6 August 2011. ↑ "BBC – Newsbeat – Pet Shop Boys join Take That on Progress UK tour". Bbc.co.uk. 4 April 2011. Retrieved 6 August 2011. ↑ "Pet Texts – 15 June 2011". Pet Shop Boys. Retrieved 6 August 2011. ↑ "Pet Shop Boys – Pet Texts – Songwriting". petshopboys.co.uk. 28 September 2011. Retrieved 4 November 2011. ↑ "Pet Shop Boys enregistre un nouvel album à paraître en 2012". www.chartsinfrance.net. 2 November 2011. Retrieved 4 November 2011. 1 2 "An interview with the Pet Shop Boys". Varsity. 10 November 2011. Retrieved 11 November 2011. 1 2 Brown, Mark (20 November 2011). "Evening Standard theatre awards: pair win joint prize for Frankenstein roles". London: Guardian.co.uk. Retrieved 21 November 2011. ↑ "Pet Shop Boys – News – Beyond Theatre". petshopboys.co.uk. Retrieved 21 November 2011. 1 2 "Frankenstein pair share Best Actor honour at our Theatre Awards". Standard.co.uk. Retrieved 21 November 2011. ↑ "Winner". News. Retrieved 3 July 2012. ↑ Newman, Paul (28 July 2012). "Wimbledon's 'wee bit slippery' courts prove a test for tennis Olympians". London: The Independent. Retrieved 28 July 2012. ↑ "Elysium track-listing". Pet Shop Boys Partnership. Retrieved 28 July 2012. ↑ "Elysium release dates". Pet Shop Boys Partnership. Retrieved 28 July 2012. ↑ "Winner USA". Pet Shop Boys Partnership. Retrieved 8 August 2012. ↑ "Winner released in UK". Pet Shop Boys Partnership. Retrieved 6 August 2012. ↑ "Winner released". Pet Shop Boys Partnership. Retrieved 3 August 2012. ↑ Hooton, Christopher (14 March 2013). "Pet Shop Boys Leave Parlophone, Tease New Album Electric - Metro News". Retrieved 27 December 2014. ↑ "Breaking news". petshopboys.co.uk. Pet Shop Boys Partnership. 14 March 2013. Retrieved 5 July 2013. ↑ "Pet Shop Boys top Official Record Store Chart". OfficialCharts.com. Official Charts Company. Retrieved 15 August 2013. ↑ "Pet Shop Boys — News — Electric - the first review". Petshopboys.co.uk. Retrieved 28 September 2014. ↑ Robbie Daw (21 June 2013). "Pet Shop Boys Discuss 'Electric', Their Euphoric Summer Album: Idolator Interview". Idolator. SpinMedia Publishers. Retrieved 5 July 2013. ↑ Dawn (4 July 2013). "Pet Shop Boys Touring Asia Intensively for 'Electric'". Music Weekly. Music Weekly Asia. Retrieved 5 July 2013. ↑ "Pet Shop Boys 'Electric' Album and World Tour.". PhabLife. PhabLife. 10 June 2013. Retrieved 5 July 2013. ↑ "BBC Proms, 2014 Season, Prom 8: Pet Shop Boys". BBC. Retrieved 5 August 2014. ↑ "BBC Prom 8 - Pet Shop Boys". ↑ "Pet Shop Boys — News — Last Electric dates". Petshopboys.co.uk. Retrieved 28 September 2014. ↑ Eurochannel. "Pet Shop Boys - British Music - Eurochannel". Eurochannel: The European TV channel - European movies, TV series and music. Retrieved 2016-03-07. ↑ "Pet Shop Boys - The Pop Kids". Discogs. Retrieved 2016-03-19. ↑ "Dance Club Songs". Billboard. Nielsen Business Media, Inc. April 30, 2016. Retrieved April 19, 2016. ↑ "Broadcast Yourself". YouTube. Retrieved 4 January 2010. ↑ "BBC News - Pet Shop Boys to make cameo appearance on The Archers". BBC News. Retrieved 28 September 2014. ↑ ">> arts >> Pet Shop Boys". glbtq. 20 September 2008. Retrieved 4 January 2010. ↑ "Absolutely Pet Shop Boys Unofficial web site – Interviews – Outrage, October 1994". Petshopboys.net. Retrieved 4 January 2010. ↑ "Pet Shop Boys – About (2xCD) at Discogs". Discogs.com. 6 November 2008. Retrieved 4 January 2010. ↑ "Absolutely Pet Shop Boys Unofficial web site – Interviews – Attitude May 2002". Petshopboys.net. Retrieved 4 January 2010. ↑ Thompson, Ben (21 April 1996). "ARTS: AN ATTITUDE THING – Arts & Entertainment". The Independent. UK. Retrieved 4 January 2010. ↑ "For Hard-Core Petheads: The Tennant Interview In Full – The Daily Dish, By Andrew Sullivan". Andrewsullivan.theatlantic.com. 5 June 2009. Retrieved 4 January 2010. ↑ "Pet Shop Boys – News – Beyond Theatre". Guardian.co.uk. Retrieved 21 November 2011. ↑ Savage, Mark (21 October 2013). "David Bowie misses out on Q Awards". BBC News. Retrieved 26 November 2013. ↑ "The Vaults | The BRIT Awards 2011". Brits.co.uk. Retrieved 6 August 2011.